Barcelona is a great city and if you have not been there yet it is well worth a visit. 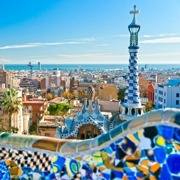 Visit the Sagrada Familia, or the Picasso Museum, stroll along Las Ramblas or watch a game of football (we can get tickets to the FC Barcelona games at Camp Nou). It's one hour away. More about Barcelona. 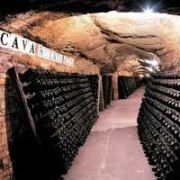 In the northern parts of Costa Daurada lies several famous producers of Cava. Perhaps you have heard of brands like Codorníu or Freixenet? The larger producers offer daily visits to their bodegas including of course the tasting of different Cavas and the chance to buy some bottles to bring back home. The city of Tarragona has a rich history dating back more than 3000 years and this is still very much in evidence if you visit today. 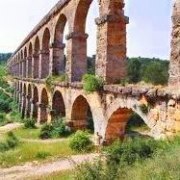 There are several ancient remains to be seen and the Roman ruins of Tarragona have been designated a World Heritage Site by UNESCO. Tarragona awaits you. 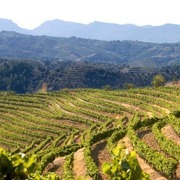 Priorat is the name of the area that lies in mountains 45 minutes inland from the coast. In this part both quality wine and olive oil is produced. The red wines of Priorat are very famous and have won numerous awards for their quality and complexity. Guided tours are always available. Enjoy a day in Priorat.